Oh yesssss I decided to try this out myself and see for the results. I am the WORST person to go on a diet. I never stick to it and I just cheat left right and center. So when I came across the Intermittent Fasting where you can eat for 8 hours and fast for 16 hours I thought to myself… I can do this!!! Intermittent fasting is not a diet, it’s a pattern of eating. It’s a way of scheduling your meals so that you get the most out of them. Intermittent fasting doesn’t change what you eat, it changes when you eat. The one thing attracted me was that it’s targeted to lose fat. Ever since I gave birth, I’ve worked hard to get my body back, as I’m back and actually “lighter” than pre-preggo weight my stomach has not gone back nearly where it was before I gave birth. I can’t seem to tone it! 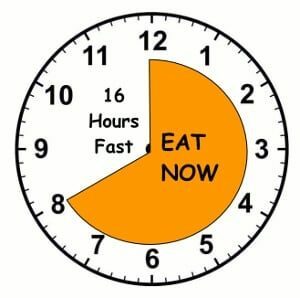 Intermittent fasting is one of the simplest strategies we have for taking bad weight off while keeping good weight on because it requires very little behavior change. This is a very good thing because it means intermittent fasting falls into the category of “simple enough that you’ll actually do it, but meaningful enough that it will actually make a difference. Your body is in the fed state when it is digesting and absorbing food. Typically, the fed state starts when you begin eating and lasts for three to five hours as your body digests and absorbs the food you just ate. When you are in the fed state, it’s very hard for your body to burn fat because your insulin levels are high. When you’re in the fasted state your body can burn fat that has been inaccessible during the fed state. What changed during these 10 days? I thought I would BINGE eat as soon as it hits 12pm, but maybe because I’ve been started so long my body just isn’t that hungry anymore. I would eat my normal lunch, snacks, dinner and I’ll force myself not to snack after dinner which was a HUGE change because if you know me, I pretty much have a second dinner at 9pm. Something I NEVER have. There’s no self-control ever. I pretty much just all you can eat every day. I can open a family size bag of chips, sit there and eat the whole damn bag in ONE sitting. I know it’s scary. It’s not something you should brag about because it’s actually really gross. I feel disgusting afterward, but I do it again and again and again. Nothing in life is easy, it takes hard work and discipline. So this is no exception. I honestly didn’t think it would be a difference at all. I had zero expectations because I don’t trust my body to know what’s going on. I’m sorry, did I burst some bubble there? Yes you still need to workout!! Sure I feel less bloated and I do feel my stomach is a bit flatter, but you still gotta workout to tone the stomach.